Cinionic is committed to making the future better, for the cinema industry and beyond. During Cinionic Night at CinemaCon, Cinionic announced it will be donating $15,000 to Edesia, a non-profit that manufactures highly fortified ready-to-use foods for poverty-stricken regions across the globe. 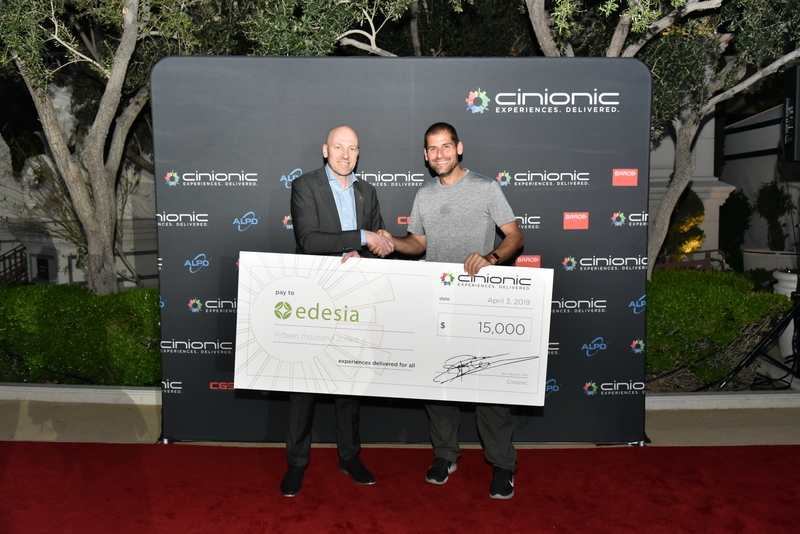 The donation was presented to Edesia by Cinionic CEO Wim Buyens during CinemaCon 2019; where Cinionic unveiled a new era in projection with Barco Series 4. Cinionic’s donation will help Edesia purchase an industrial robot to dramatically reduce production costs, helping to feed more children faster than ever before. Edesia’s foods have already reached over 9 million malnourished children in over 50 countries, and with new technology, this number will continue to increase. In addition to the $15,000 donation, the Cinionic management team will also be traveling to Sierra Leone later this year to help build a school and meet with locals whose lives were changed by Edesia’s work.